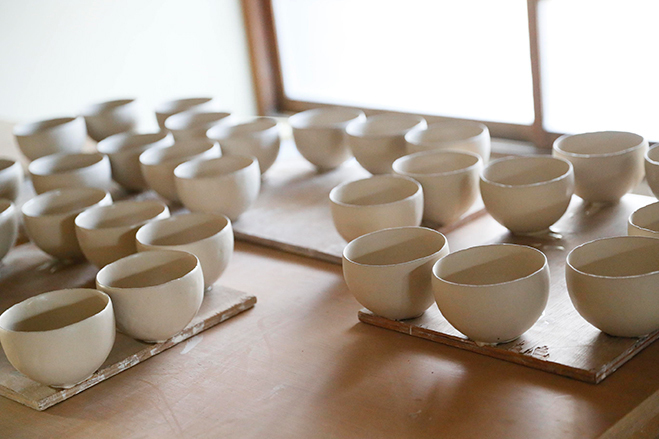 Makoto Asebi’s work arrived in the shop recently and deemed very popular. 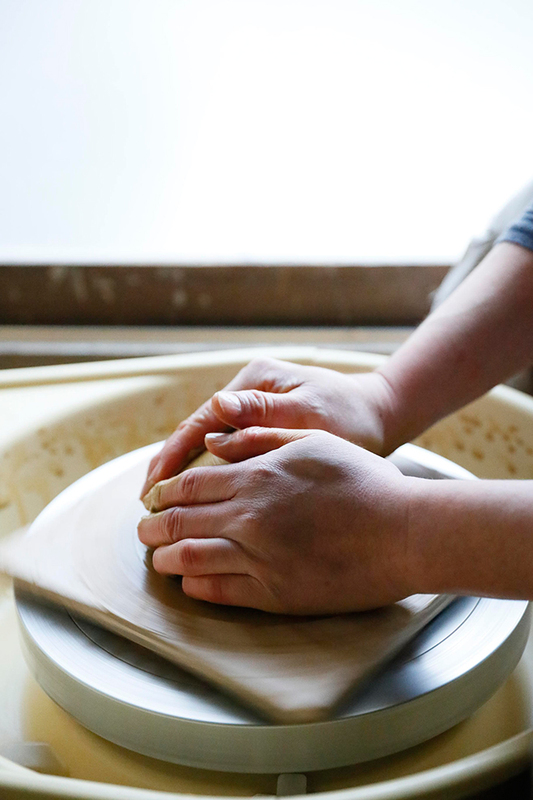 As we wait for another order from this talented potter, which should involve a wider range of works, a photographer was available to go to his studio and I’m happy to showcase those images on our special feature page today. 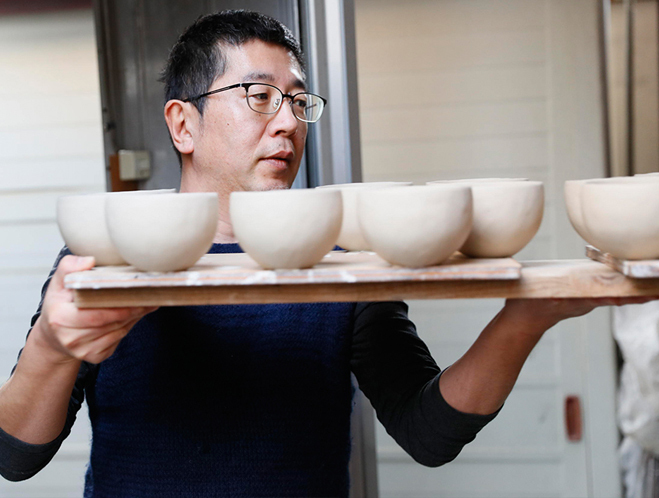 This feature here gives us a quick glimpse inside the studio of Makoto Asebi, looking at how he produces his works from start to finish. The pictures highlight him kneading the clay, moving to the wheel and finishing one of his distinct Delft Dishes, and later firing some of his quirky coffee cups and plates in the pottery kiln. In turn, a selection of his work can be found in our online shop. We hope to enjoy this short feature on this unique craftsman.